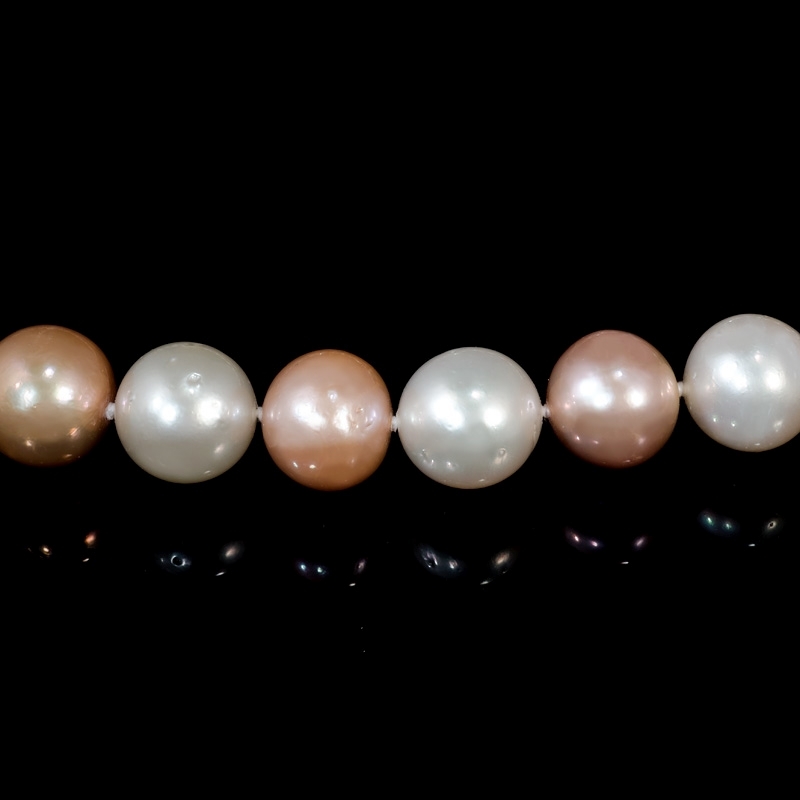 Pearl Details:South sea and freshwater pink and white pearls with natural colors, a very high luster, measuring 11.5 to 14mm in diameter. 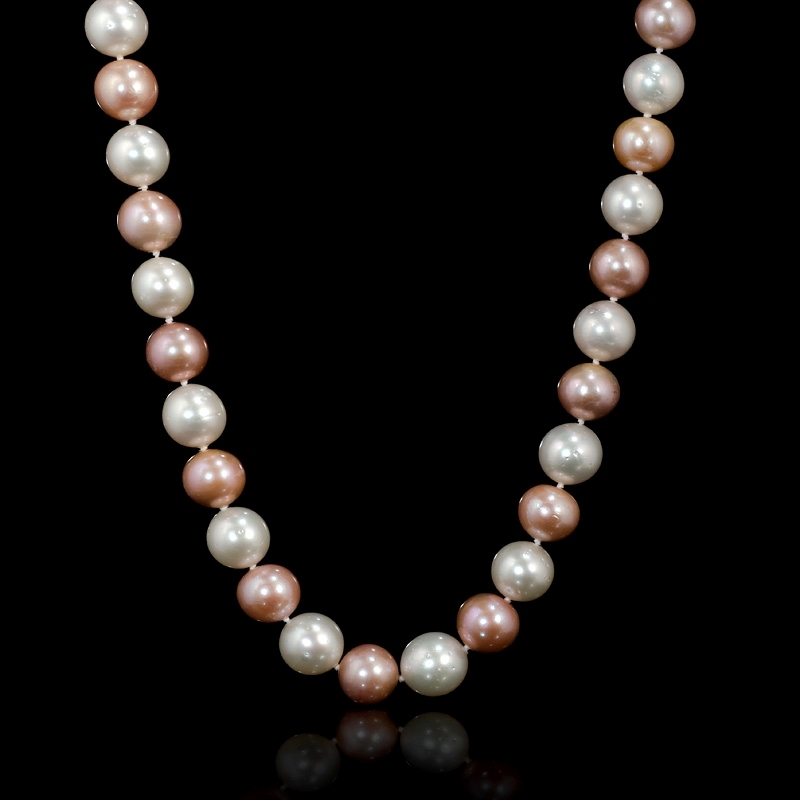 Measurements: 33 inches in length and 14mm at its widest point. 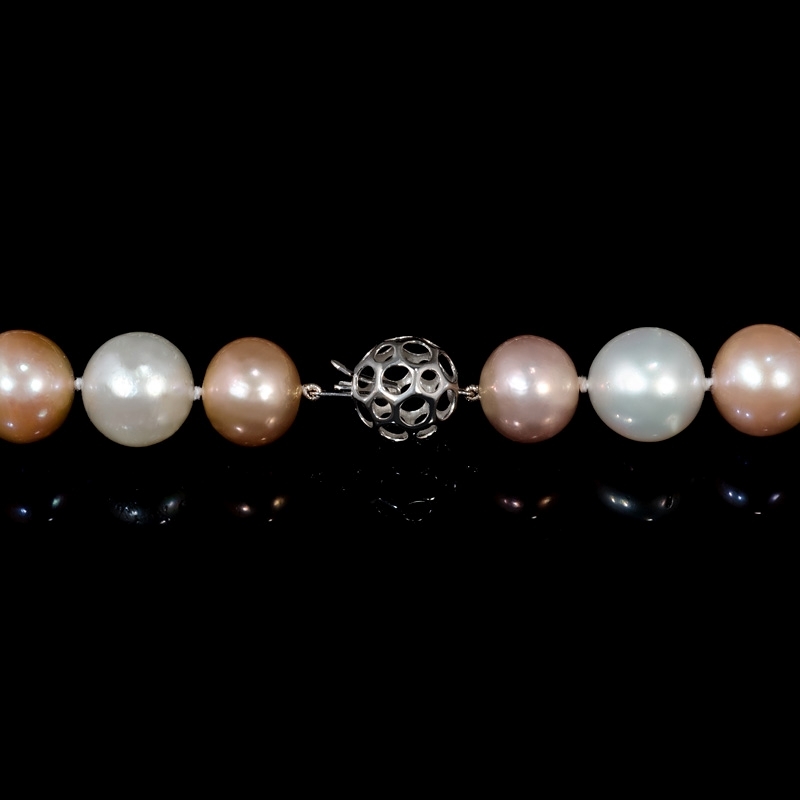 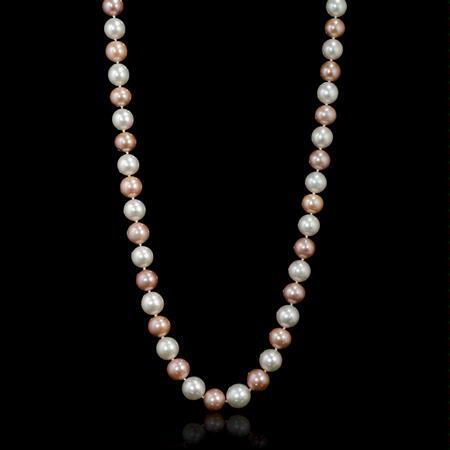 This stunning 18k white gold necklace, contains south sea and freshwater pink and white pearls with natural colors, a very high luster, measuring 11.5 to 14mm in diameter. 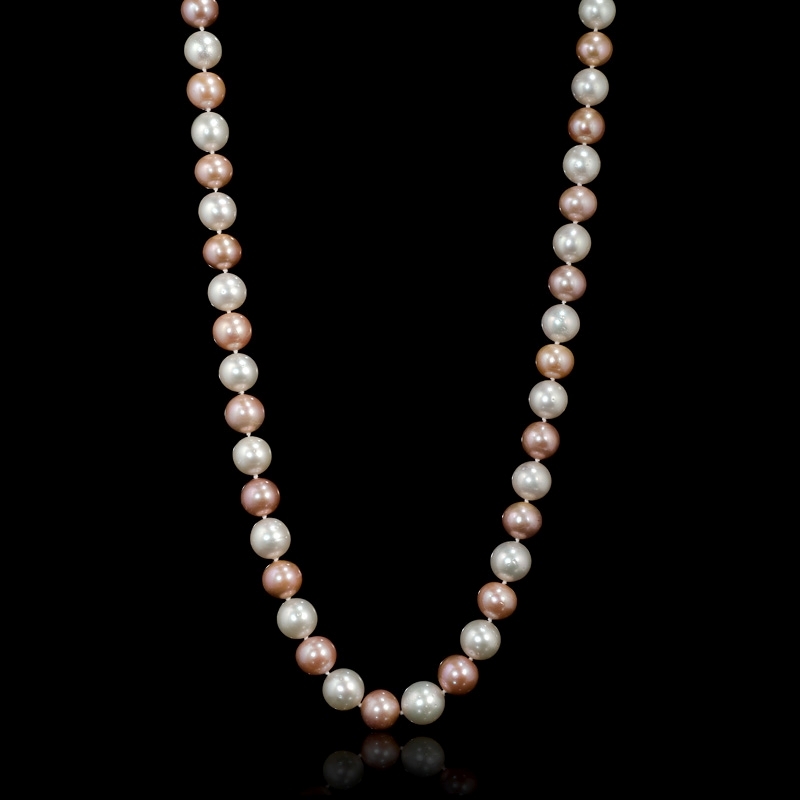 This pearl necklace measures 33 inches in length and 14mm at its widest point.